Isadora, Leonardo & Lara meeting up on their first day of school at St. Patricks,Donabate. Olivia Ryan is still smiling, sort of, after braving her 1st day of school in St Marys Dublin 3. Caoimhe (7), Cillian and Cormac (5) head off on their first day of school Sent in by Karen Dinan. Sophie and Luke Maher going to St Mochtas, Clonsilla. Dara (10) and Sam (6), on their first day back to St.Malachys BNS, Edenmore. An old photo of Denis Keane heading to school back in the day! "Well our Jack has started. Proud day. Few years since my 1st day" Sent in by proud Dad Mike Ryan as his son Jack starts first day at school in Kiltimagh, Co Mayo. Michael O'Reilly head to school at Gaelscoil Ros Eo in Rush Co Dublin. Jason Kennedy, from Tipperary, pictured during his school days. The sun may have not made much of an appearance this summer but Irish children returning to school this week have been greeted by sunshine as they prepare to walk through the doors for another school year. While the return to school may be dreaded by schoolchildren after a freedom-filled summer, there’s no doubt that our school days are the foundation for some of our happiest memories and it is often the time where life-long friendships are found. 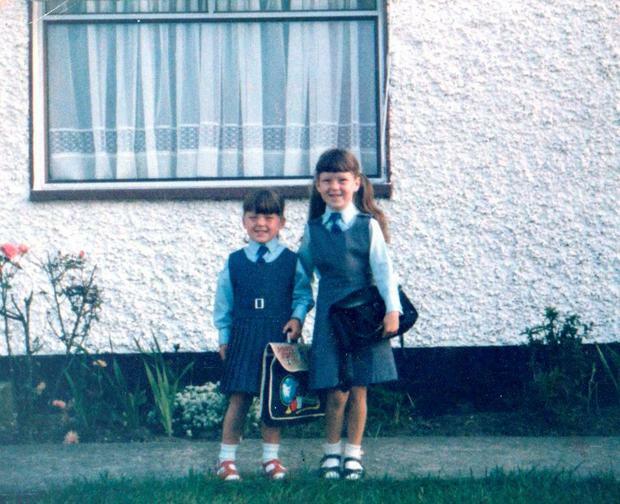 Independent.ie wants to see your best ‘Back to School’ photos, whether they’re of your own children or from way back in the day, and hear some of our readers favourite memories from their time in school. To celebrate the return to school, Lidl have very kindly given us €100 voucher to give away to one lucky reader.